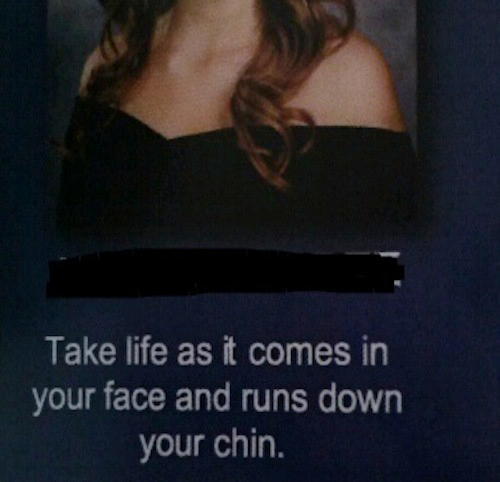 Yearbook quotes and moments will live forever. 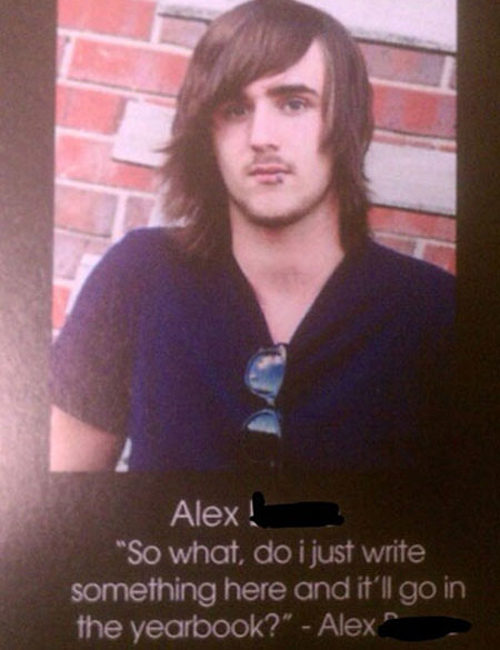 No matter how old you are, you most likely will always have your yearbook and your children and grand children will be able to dig them up and see what their grandma or grandpa looked like when they were a high school student. 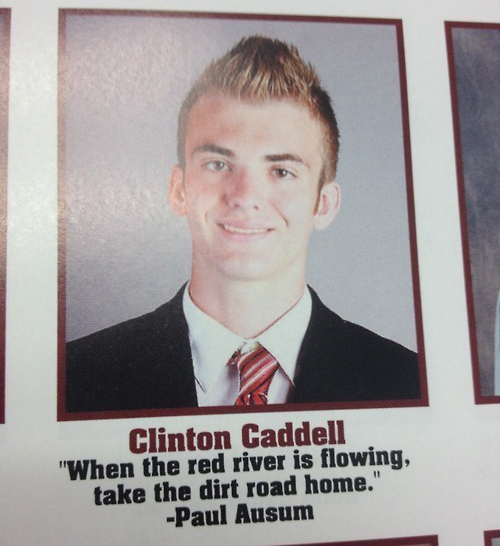 So it's important to make sure you pick the right quote that goes next to your name in your yearbook. 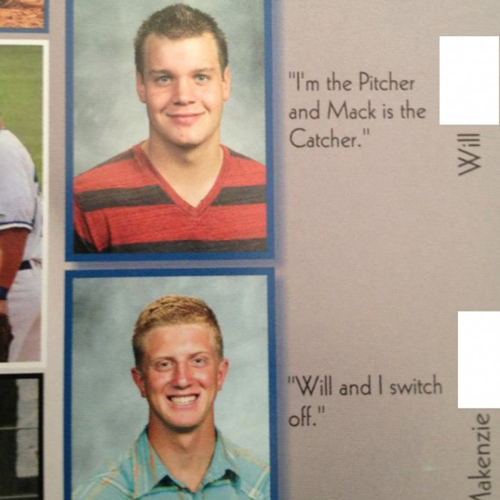 (Not all high schools allow their students to put quotes next to their names.) 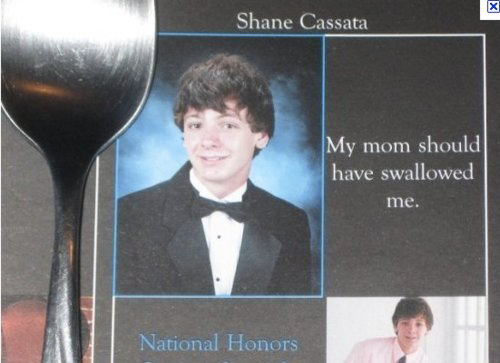 But this is a funny picture gallery of high school yearbook quotes and moments that that these students will most likely regret. 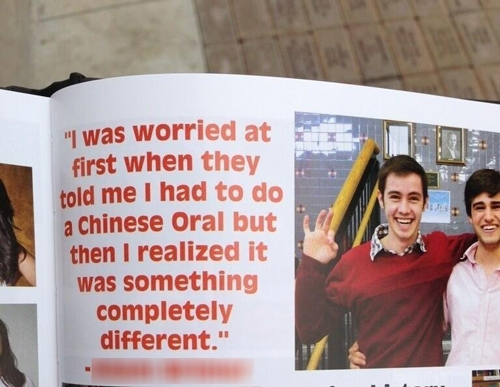 You could call these yearbook fails. 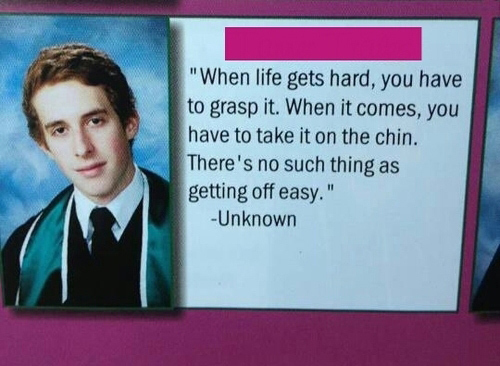 Or the worst yearbook photo quotes. 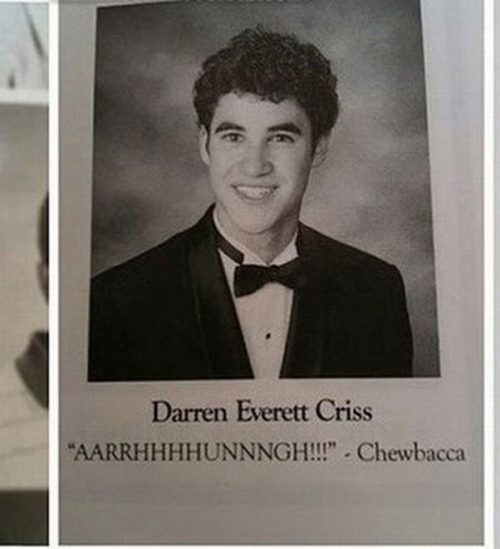 Or, if you have a wacky sense of humor, you might think these are some of the best yearbook quotes and moments of all time. It all depends on how you would want to be remembered. 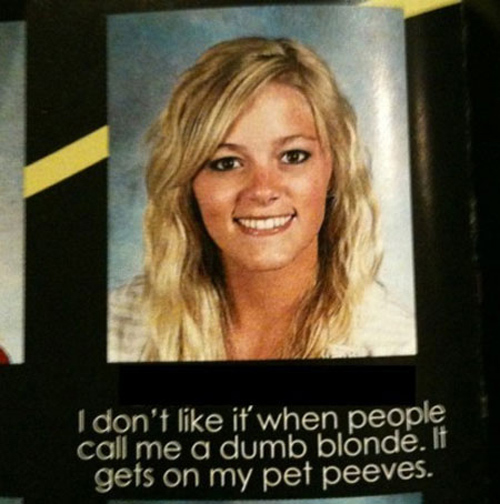 Some of the best yearbook quotes and moments in this funny pictures gallery are the photo of the blonde girl who's quote says: "I don't like it when people call me a dumb blonde. It gets on my pet peeves." 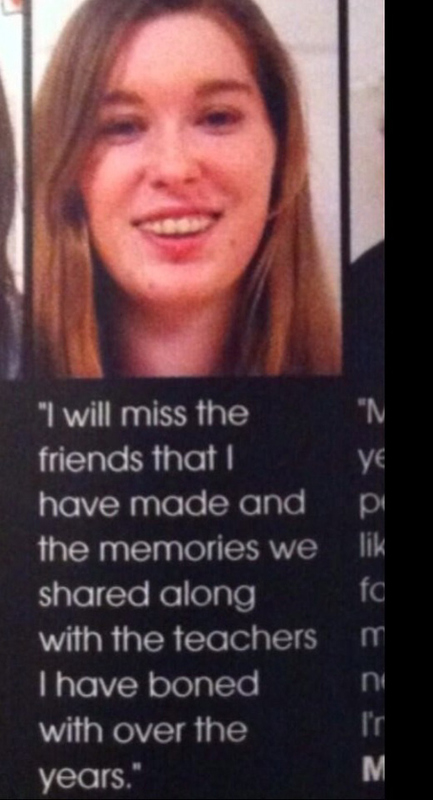 She clearly made that mistake on purpose. 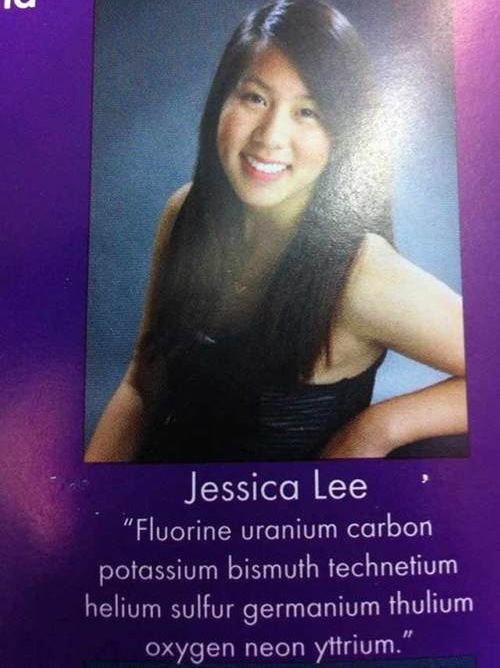 Also, it seems clear that a lot of chemistry students have a very dirty sense of humor. 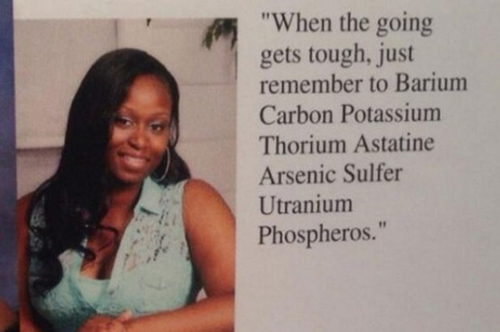 So many of them use the periodic table of elements to spell out F--- You using the element names. 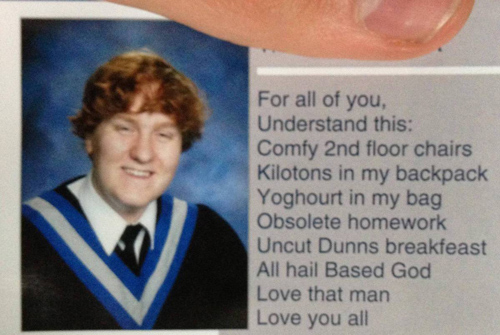 (For example, potassium is the K etc.) They seem to use it a lot. A few other students spell out a similar sentiment using the first letter of each line. Kids these days. 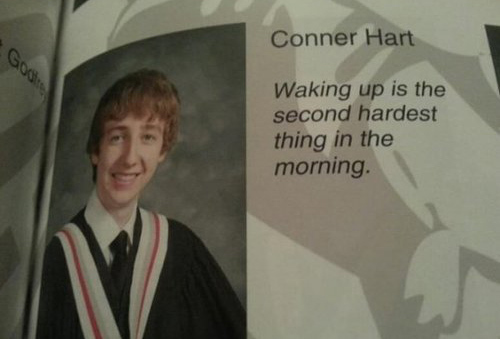 Another classic yearbook quote fail or win (depending on how you feel) is the kid who said "Getting up is the second hardest thing in the morning." 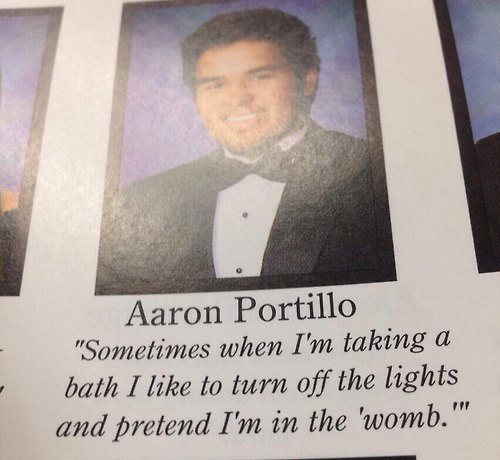 I'm sure high school administrators will either be much more vigilant about what quotes students are and aren't allowed to use in their yearbooks. 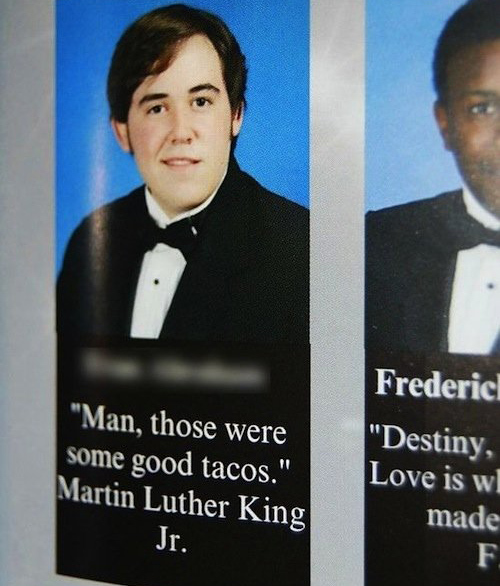 And they may just start disallowing using yearbook quotes altogether. Which would be sad for all the other kids! 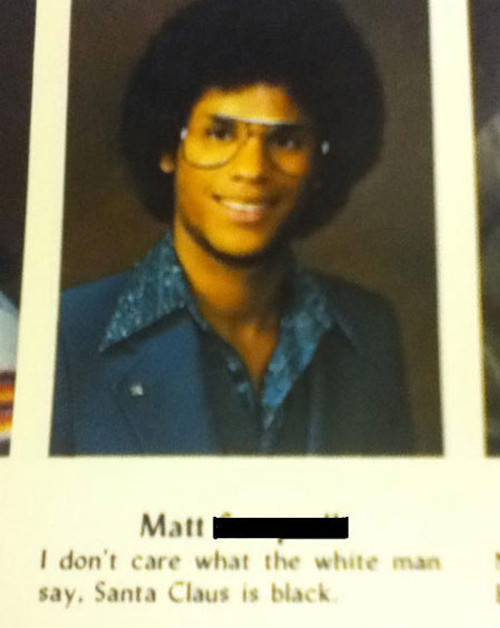 Check out more funny picture galleries here! 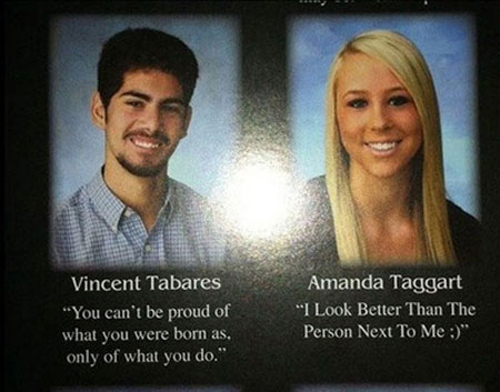 Worst Yearbook Quotes and Moments: I look better than the person next to me.